I was at a meeting last fall attended by friends, among whom was a naturopath. We took a break and went outside to toss a Frisbee to the dogs. While outside, I asked my new friend, the naturopath, to take a look in my ear and make a recommendation. I’d had a pimple (or a boil) in there, and all I’d done thus far was keep it irrigated and clean, hoping my immune system would eventually stop the infection. I got online to check my email before heading to sleep when I spotted a good friend online who immediately sent me an IM asking me how I was. I told her . . . the whole story and my plans, when she said, “Too bad you don’t have some Atomidine.” I asked her what the heck that was, and she explained that it was detoxified iodine, something Edgar Cayce had come up with. My eyes dropped to my desk, where a padded envelope lay, upon which the return address read “Cayce Concepts.” [Note that Cayce Concepts has moved to www.Iodinesource.com.] I grabbed the envelope, ripped it open, and out rolled a bottle of Atomidine. I don’t know what I said to my friend, but I quickly signed off, opened the bottle and squeezed two drops into the dropper. I placed the eyedropper into my ear as far as it would go (which wasn’t very far), tilted my head and squeezed slowly. You won’t believe the pain. Boy, that stung. But within half an hour, the swelling in my ear canal had shrunk 50% and the pain was cut in half too. I was impressed. By morning the inflammation was nearly gone. Having read the materials Phil (of The Iodine Source) had sent along the night before, I decided to stick with the Atomidine rather than see a doctor that day. I took two more drops (again, it stung like a killer bee), but by that evening, the ear infection was history. Iodine is toxic. What you get in the store I would NOT put in my mouth. Having a friend who owed me a favor (who just happens to be a chemist), I sent him a CC of the Atomidine in a bottle for a toxicology reading. He reported back, “Hey, this is some good stuff.” I asked how much could the average adult take in a week. His response was, “A heck of a lot more than any other iodine out there.” He seemed to feel that one or two CCs a week would not be harmful, but that side effects should be noted if they occurred. We both agreed that it was powerful stuff and should be used with caution. I fell in love with my Atomidine. I love to work hard and play hard, and when when I return home, I’m always cut, scraped, or bleeding somewhere. Now I put a drop of Atomidine on the cut and it heals quickly. Stings, but it heals. And then, out of the blue, we were contacted by Baar Products and asked to review their Atomidine. We received it in the mail, opened the envelope, and large bottle dropped out, but it was clear, like water. The other stuff was bright red. The differences between the two, we found out later through interviews and letters, etc, is that the Baar Atomic Iodine is made with 1% iodine-trichloride in water (if you’ll recall, iodine mixed with potassium or chlorine is water soluble). Cayce Concept’s Atomidine is 1% iodine in alcohol. As you can guess, or if you have a degree in chemistry, the second is stronger (and more expensive). Both have been magnetically charged in the manner prescribed by the Cayce readings. Baar’s product tastes salty, and does not burn much when applied. Wanting to compare the two, I remembered someone I know has an occasional ear fungus problem. He scratches the ear canal (because the fungus itches) and eventually breaks the skin, and it gets all messy in there. I asked him to put two drops of the Baar Atomidine in his infected ear and get some sleep and tell me the results in the morning. He responded that it had helped some the night before, but by morning, the ear was just bad as the day previous. So then I asked him to put two drops of the Cayce Concept Atomidine in his ear, and his reply was: “Wowuch!!! That stuff burns! I checked back a little later and the infection (and itch) were gone. That night, still gone. The next day, still gone. Cayce Concepts’ Atomidine is the better product. At least in our humble estimation. However, I wouldn’t judge the Baar product as being worthless. I’d judge it as toxic. It’s made from iodine trichloride, and below you’ll find the Material Safety Data Sheet on iodine tricholoride. Both Baar and Cayce Concepts claim that theirs is the authentic form and that from the readings their product is the one that Cayce talked about. I bought a CD from Baar with all of Cayce’s readings on Iodine and though iodine-trichloride is mentioned, nowhere is the exact form of iodine mentioned either. I did find a spot where someone inquired of Cayce, “In what medium is iodine dissolved?” and the reply was: alcohol. This happens to be true, and happens to be something that Cayce would probably not have known in a waking state (since he was not a chemist). You can reach Phil at Cayce Concepts on the web: http://www.Iodinesource.com. Phil is very dedicated and sincere about his work and wants to bring Cayce’s healing remedies back into the mainstream. Each person believes his product is superior and that his product is the actual one Cayce described and produced according to each’s understanding of the Cayce readings. Barr’s product, Iodine Trichloride, should NEVER be used internally. Here is the Material Safety Data Sheet on Iodine Trichloride. 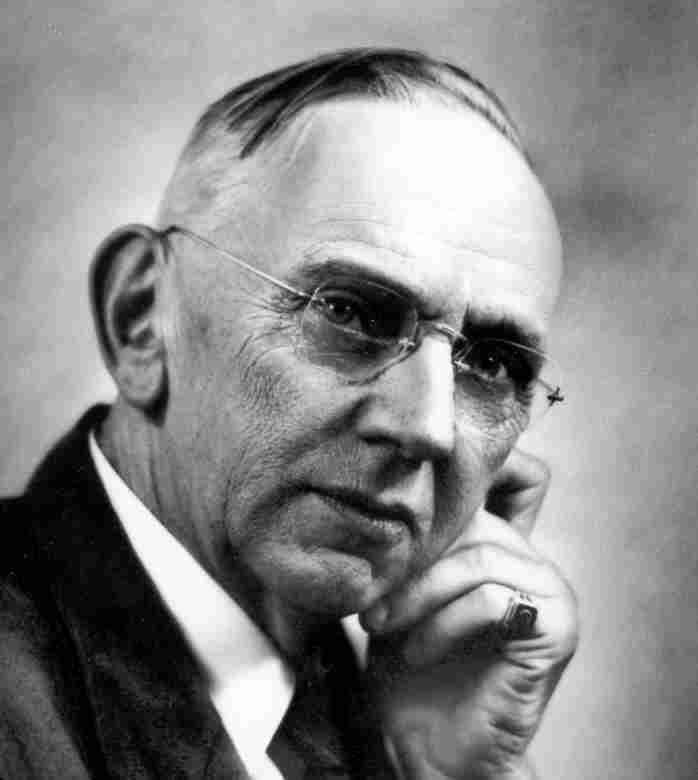 Another form of Atomidine from a reading by Edgar Cayce was never produced by the person he’d given it to because it was so expensive. It is called Magnascent. I personally like it best of all the different nascent iodines. Here is a Review of Magnascent published in our newsletter.